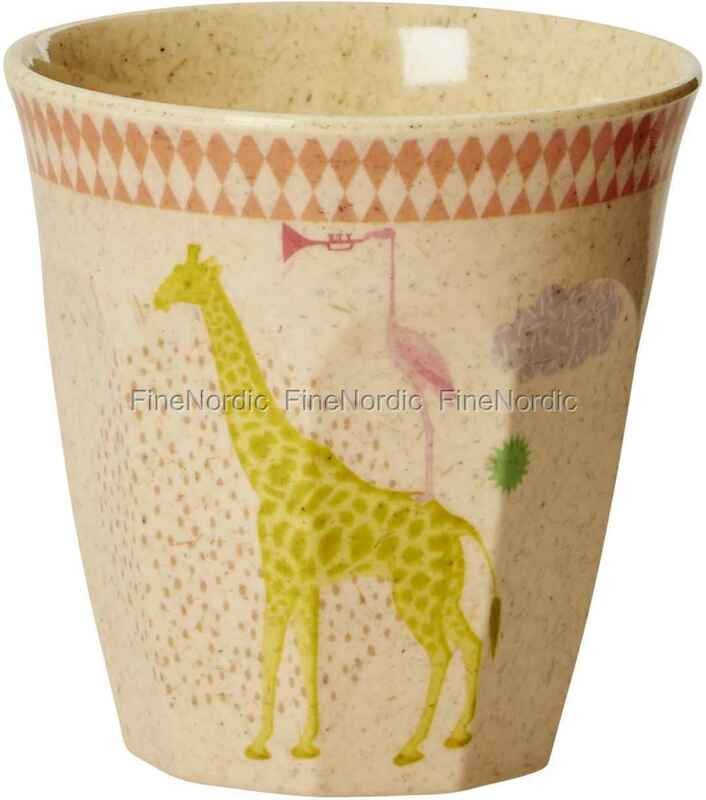 The bamboo melamine children's cup with Girls Animal Print is perfect for little children's hands. It fits well into the hand and is very robust and funny on top of that, because you don’t just see a trumpet-playing flamingo standing on a giraffe's back every day. The amusing and color-coordinated cup makes children's eyes shine and the juice, milk or cocoa will taste twice as good. It is also practical, because after use it may be cleaned in the dishwasher. Practical, funny and goodlooking, we are sure, that will turn it into the favorite cup in no time.